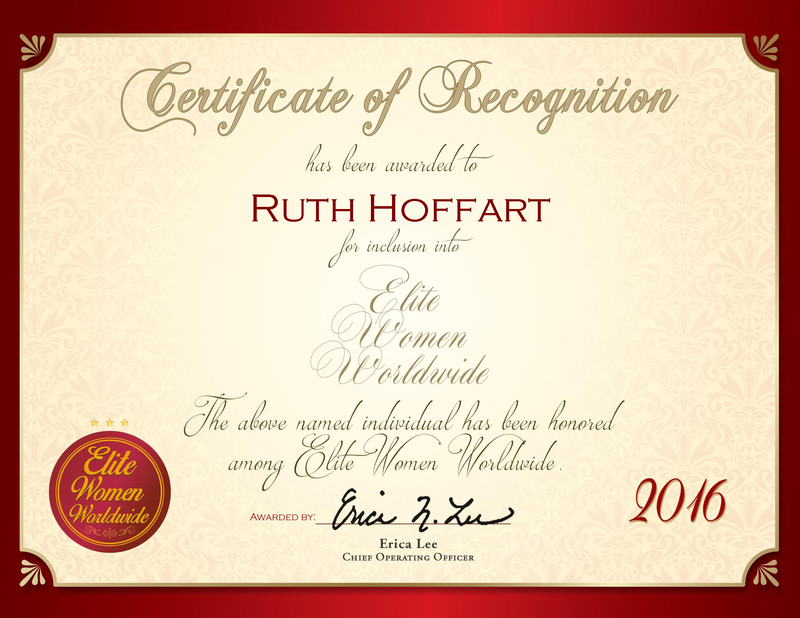 Regina, SK, Canada, August 15, 2016, Ruth Hoffart, Librarian, Manager (Retired) at Royal Canadian Mounted Police, has been recognized by Elite Women Worldwide, for dedication, achievement and leadership in law enforcement services. After dedicating 47 years in the law enforcement field, Ms. Hoffart retired from the Royal Canadian Mounted Police. During her time in the service, she helped develop a library that became a fully automated resource center used by cadets in training. Her position required her to be a leader, and she was often directing others, implementing organization management and training others regarding law enforcement. Her fruitful career with the Royal Canadian Mounted Police was recognized with a Long Service Medal. Ms. Hoffart’s decision to join the RCMP is largely based on her desire to help others. Her success was built upon her selflessness, and because she enjoys helping others, she was also able to work well with her colleagues. Her career as a librarian and manager is speckled with many achievements, however, Ms. Hoffart points out that her greatest accomplishment has been sharing her information with others. In her retirement, she still enjoys helping others and is active at her local church where she is a Sunday school teacher. Ms. Hoffart is also recognized for her diligent and strong work ethic. When working, she would begin at 7 a.m., and would map out her day and the organization needed to direct others for workflow. She was also responsible for training others about many of the aspects of law enforcement. Looking toward the future, she intends to make the most of her well-earned retirement and plans on taking trips around the world, supporting the Ruder Football Team and the Salvation Army.